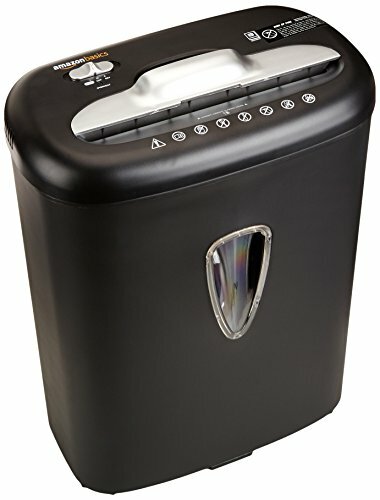 The Aurora AU870MA 8-Sheet micro cut paper/ credit card shredder with basket is the perfect home and small office device to help keep you safe from identity theft. The AU870MA accepts up to eight sheets of paper at a time and shreds them into 5/32 x 15/32 inches pieces. In addition to paper, the AU870MA shreds credit cards, keeping vital information from falling into the wrong hands. The throat of the shredder is 8.7 inches wide and allows continuous shredding for 5 minutes. 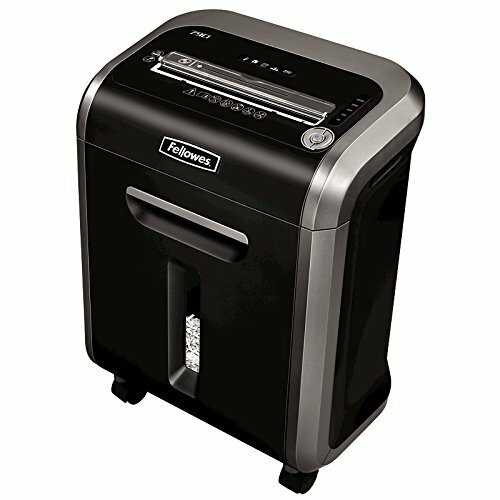 Bonsaii DocShred C204-C Paper Shedder's simple features make it easy to use and perfect for your home office. It can shred all of your sensitive information from old tax records, bills to bank statements. C204-C can shred up to 6 sheets of paper (A4 size 75g/m ) at a time into 5/32 x 1-25/32 inches (4x45mm) smaller particles than standard cross-cut. In the auto start mode, the shredding begins automatically when the sensor in the middle of the feed slot detects paper inserting. If the shredder is jammed due to shredding exceed paper, the manual reverse can help clear it out. Bonsaii shredder is equipped with an overheating protection system. If the unit keeps shredding over its maximum running time and becomes overheated, it will shut off automatically to protect the motor. 1-Year Warranty: The warranty of this unit is 12 months from the date of first purchase, provided that the machine has been used appropriately, which ensures the least worries and best experience that we could provide for our dearest customers. NOTE: A few pieces of shredded paper may be found inside the shredder blades or the wastebasket due to the 100% full shredding test in the process of manufacturing to ensure quality. If you are not satisfied, please contact customer service for further assistance. Backed by an AmazonBasics 1-year limited warranty. Please refer the User Manual before use. NOTE: Kindly refer the Instructional Video and the User Manual which is highly essential for the better usage. 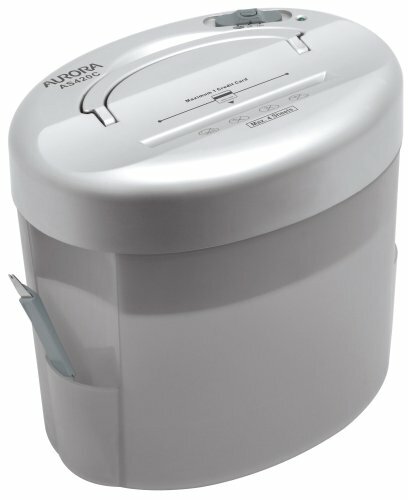 Aurora 4-sheet Cross Cut Paper and Credit Card Shredder with Translucent Wastebasket. 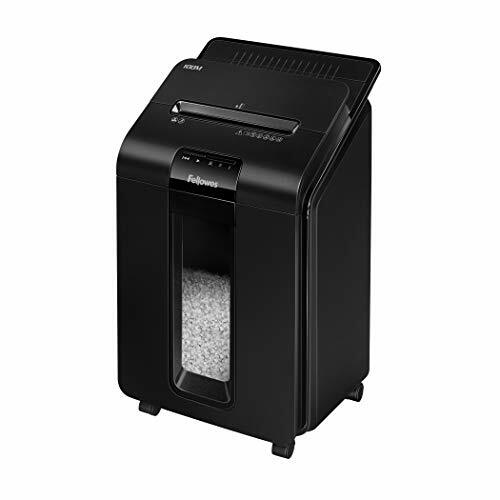 Great for Your Home OfficeBonsaii DocShred C156-D Paper Shedder's simple features make it easy to use and perfect for your home office. It shreds all of your confidential information including paper documents, CDs, DVDs, and credit cards. Bonsaii C156-D can cut paper into tiny pieces with high-security protecting. It can shred maximally 12 sheets of paper (A4 size 75g/m ) at a single pass into 1/5 by 1 25/32 inches (5x45mm). It'll help you get back to your life with the peace of mind that private information is safe. 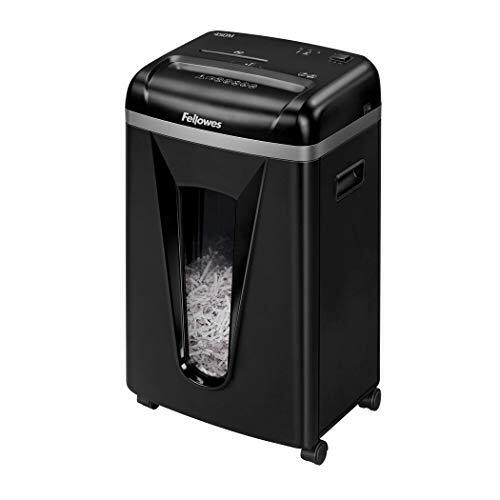 C156-D cross-cut shredder features convenient handle for lifting the shredding part more easily to empty the wastebasket when it is full watching through the clear viewing window in the front.In auto start mode, the shredding begins automatically when the sensor in the middle of the feed slot detects paper inserting. If the shredder is jammed due to shredding exceed paper, manual reverse can help clear it out. Bonsaii Shredder is equipped with a motor overheating protection device. If the unit keeps shredding over its maximum 3-5 minutes running time and become overheated, it will shut off automatically for cooling down 40 minutes to protect the motor. The warranty of this unit is 12 months from the date of first purchase, provided that the machine has been used appropriately, which ensures the least worries and best experience that we could provide for our dearest customers.If you are not satisfied, please contact customer service for further assistance. Exclusive Hybrid Power Management System: allows up to 15% of shredding through the stored energy. 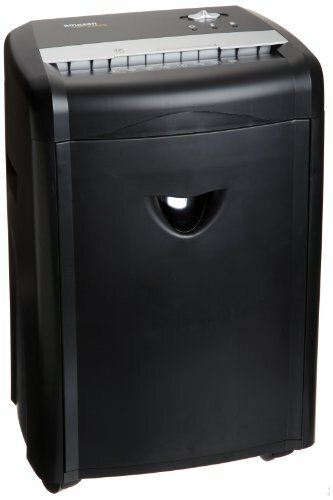 The Sentinel 10 sheet micro-cut shredder is a medium duty shredder. A 4mm x 10mm micro-cut shred for optimum security of your personal data. 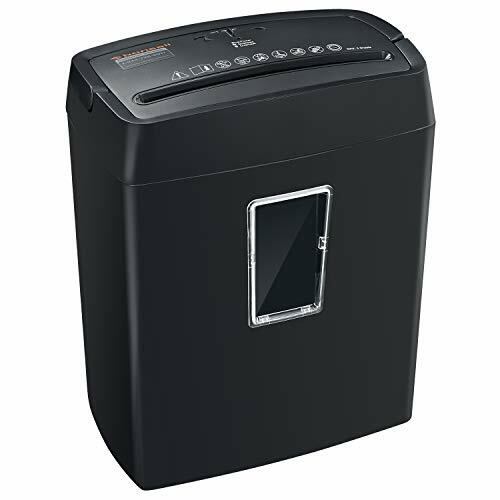 Auto start/stop means you simply leave the shredder on and simply feed the paper or credit card into the intake. A manual reverse function allows you to reverse the cutting blades in the event of a jam. Want to shred a credit card? no problem, the Sentinel 10 sheet micro-cut shredder can do that too. Simple to empty with a slide out 4 gallon wastebasket. No plastic bags required; simply slide out the wastebasket, and dump the shredded material in the dumpster. Casters make moving the Sentinel 10 sheet micro-cut shredder easy. 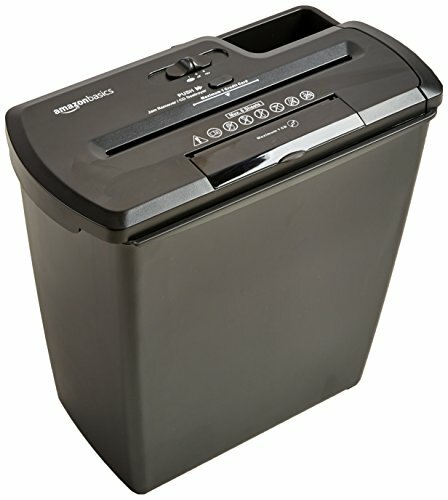 Reliable, easy to use and easy to empty makes the Sentinel 10 sheet micro-cut shredder a must have for home or office. Use VANRA lubricated sheets to save and maintenance your paper shredder. 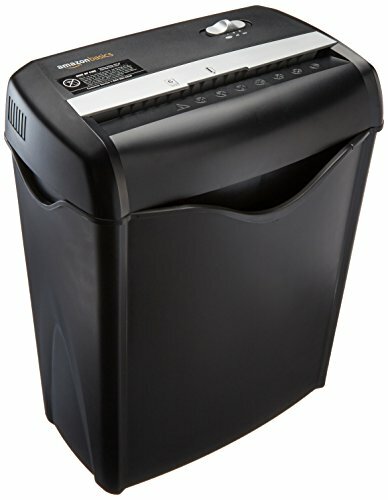 They are a clean and effective way to keep your shredder running smoothly and working for a long time. 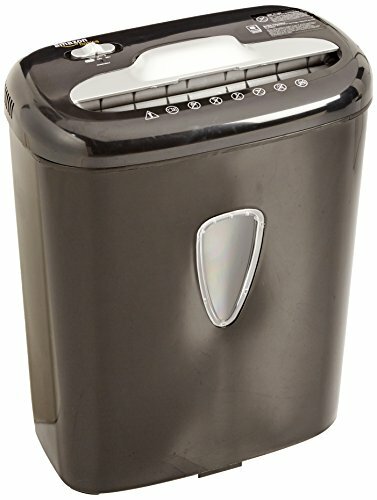 Every time you empty your shredder, just pop one of the sheets in it, and it's ready to go. No oil needed. So you won't get messy. 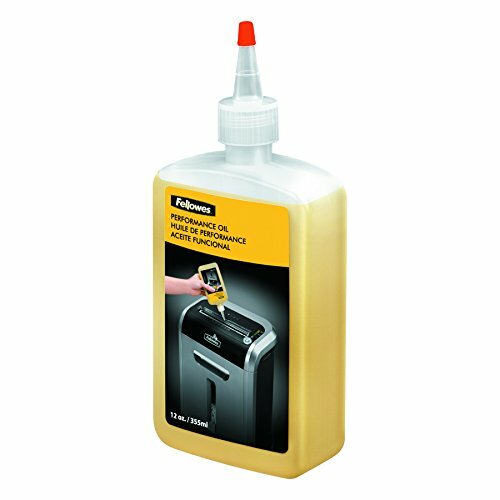 Just as easy as shredding a piece of paper - no oil needed, no more lubricant to touch hands. Help reduce paper dust and noise by cleaning and lubricant shredder blades. As well as to avoid paper jams. A clean and effective way to optimize and maintenance the best performance of the paper shredder. 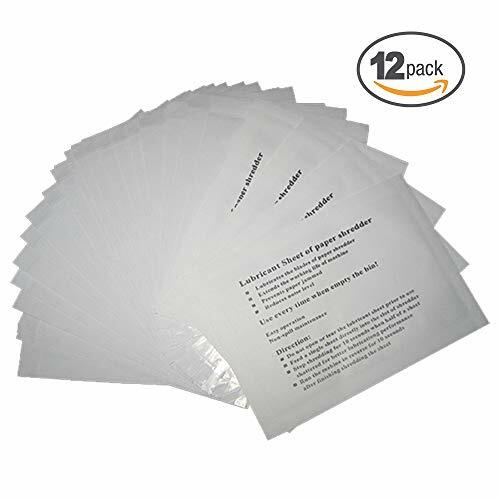 12-pack of lubricant sheets are universal to fit for all paper shredders (with paper-entry width 8-9/16 inches or larger). Each Sheet Size: 8-1/2 x 6 (21.5 x 15 cm). Come with 12 sheets per pack. Shredding important documents becomes a valuable component to protecting our identity. 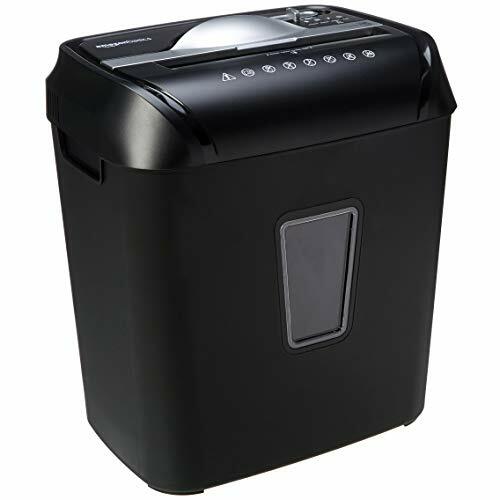 EZBASICS shredder minimizes your chances of falling victim to the havoc and hassle of identity theft. 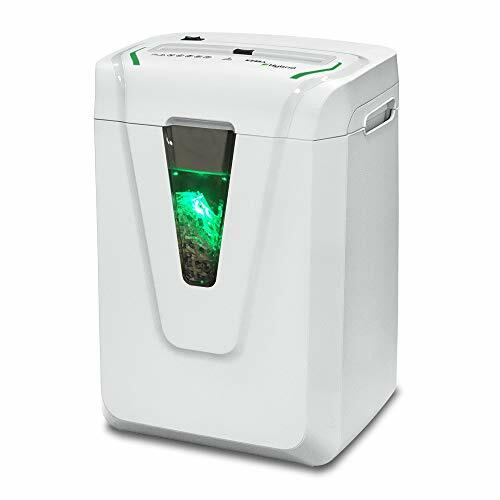 EZBASICS E01C Shredder can shred all of your sensitive information from ATM receipts, credit-card bills, old tax records, bills, bank statements, pay stubs, to other old or unwanted info. 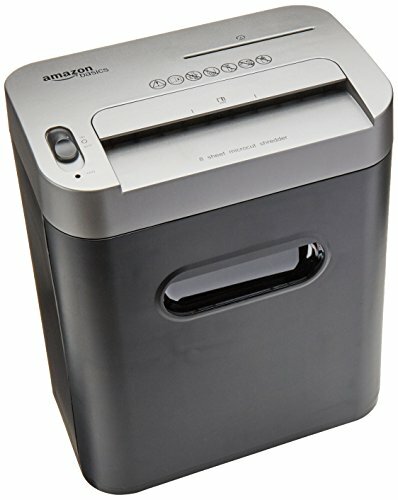 The shredder can shred up to 5 sheets (A4 size 75g/m ) at once and destroy one credit card at a time. Shreds paper into 3/19 by 1-3/16 inches, meeting security Level P4 standards, at a rate of 5 feet per minute. 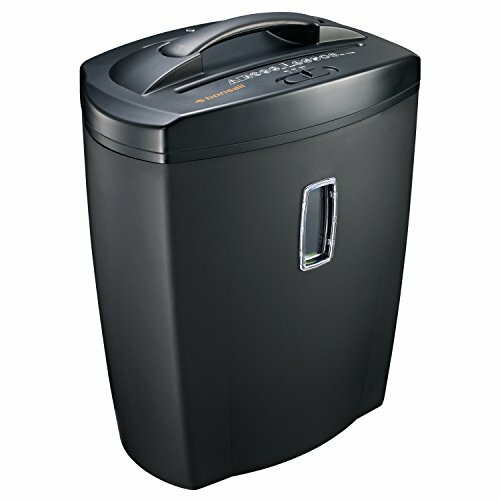 In auto mode, shredding begins once the sensor detects something to be shredded. Shredded paper then drops into the 3.1-gallon bin below, and manual reverse makes easywork of clearing any paper jams. The cross-cut shredder will run continuously for 5 minutes before needing a 30-minute cool-down. If it shreds continuously beyond the max running time and begins to overheat, the unit will automatically shut off to protect the motor. 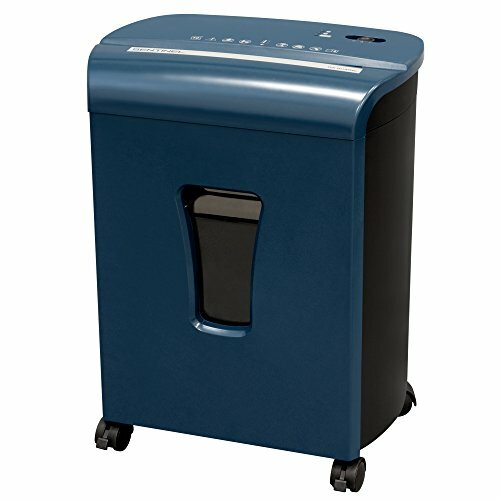 Perfect for light use in a small business or home office, the cross-cut shredder conveniently fits under a desk or other workstation for easy access throughout the day. Even more, the shredder removes effortlessly when it's time to empty the bin. 1) Make sure the unit is plugged in and that the outlet is in good working order. 2) Overheating with extended use: In the event that the shredder has shred continuously beyond the maximum running time and overheated, the unit will automatically shut off. If this happens, switch the shredder off for 5 minutes or longer before resuming normal operation. *Please do not shred labels or anything with glue or any sticky substance as this will lead to paper jams. Lubricant is not needed Exclusive Cutter Design: Perfect for shredding all your confidential documents, Credit Cards, Clips and Staples. Lubricant is not needed and reduces paper jams. The cutter's life expectancy is an industry leading 7 years. Compact & Stylish: Fits anywhere and amplifies your d cor. The transparent window makes it easy to see when the wastebasket is full. Pull-out design provides an easy tray for dumping. 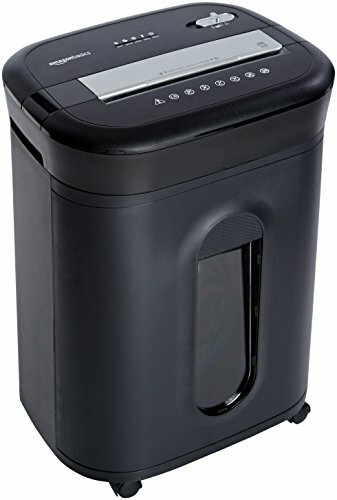 Higher Security Level: Cross-cut shredder with 5 sheets capacity; Destroys credit cards (one at a time); Shreds paper measures 3/19x 1-3/16, meeting security Level P4 standards. 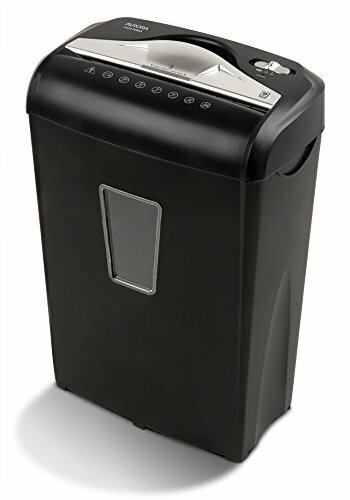 The Aurora AU1010MA 10-sheet micro cut paper/ credit card shredder with basket is the perfect home and small office device to help keep you safe from identity theft. The AU1010MA accepts up to 10 sheets of paper at a time and shreds them into 5/32 x 15/32 inches (4 x 12mm) pieces. In addition to paper, the AU1010MA shreds credit cards, keeping vital information from falling into the wrong hands. The throat of the shredder is 8.7 inches wide and allows continuous shredding for 5 minutes. The 100M features a versatile FlexShred capability that shreds up to 100 sheets automatically or 10 sheets manually. Shred credit cards, paper clips and staples using the manual slot. The micro-cut P-4 security level provides superior protection with shreds 6X smaller than standard cross-cut. The 100M shreds for 15 minutes before a cool down period is needed. The SilentShred feature offers ultra-quiet performance for shared workspaces. 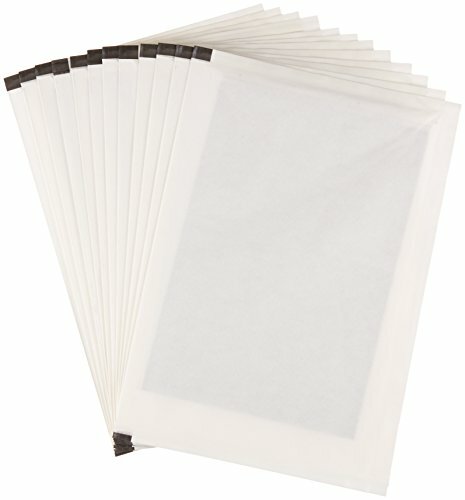 Auto Reverse stops and reverses paper if a jam occurs. The Sleep Mode shuts down the shredder after 2 minutes of inactivity to save energy. 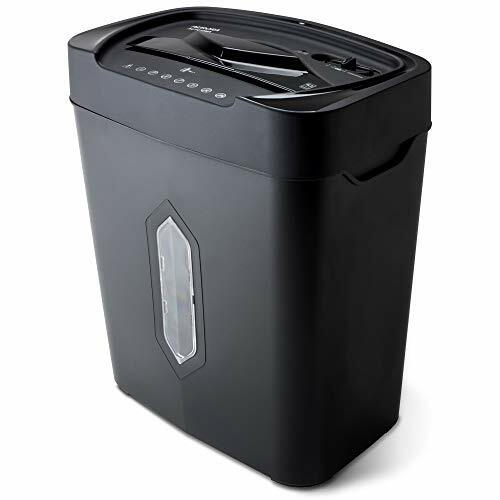 A spacious 6 gallon pull out bin eliminates the need for frequent emptying.